After entering the park we finally find a nice spot to pull over without people all over. 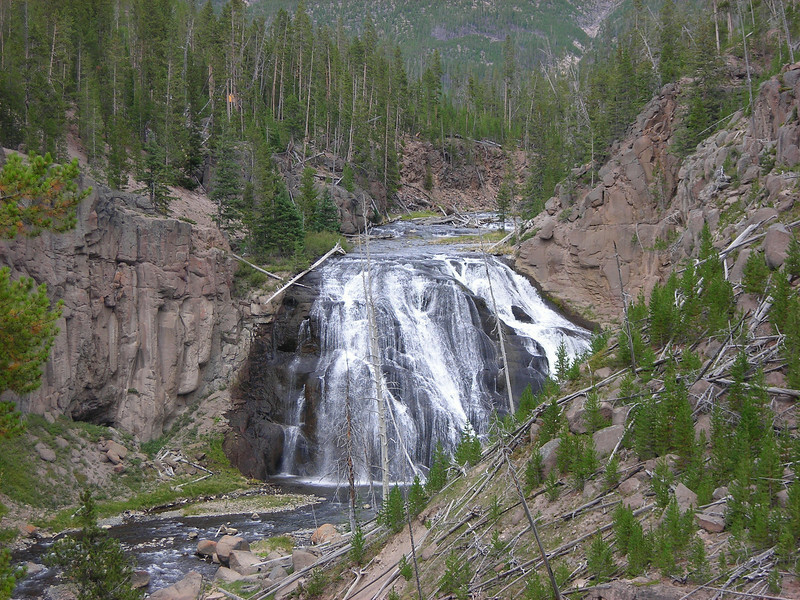 We do a short and steep hike to a stream and look over the Yellowstone map. This is from the 1988’ Yellowstone fire: Eerie but it was cool seeing all the new growth. We thought the pines should have been taller by now. It must be the high altitude that makes them grow slow.